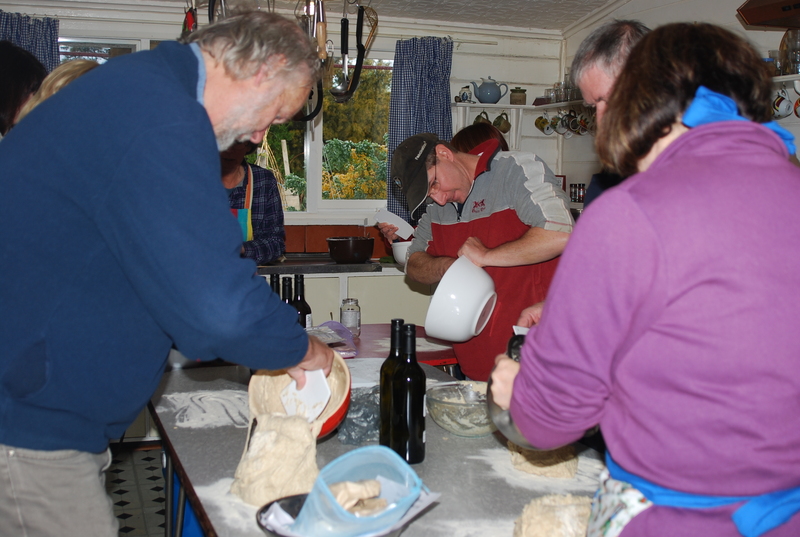 I still have some vacancies for next months sourdough workshop. The workshop will commence on Saturday 9th March at 8pm. The first session runs for one hour and includes how to make the dough, the first rising, caring for the starter and tastings. Session two of the workshop commences on Sunday 10th March at 8.30am and includes preparing for the second rising (no its not religious!) and how to bake it, other breads including hand made and bread machine and more tastings. This workshop has 3 vacancies. 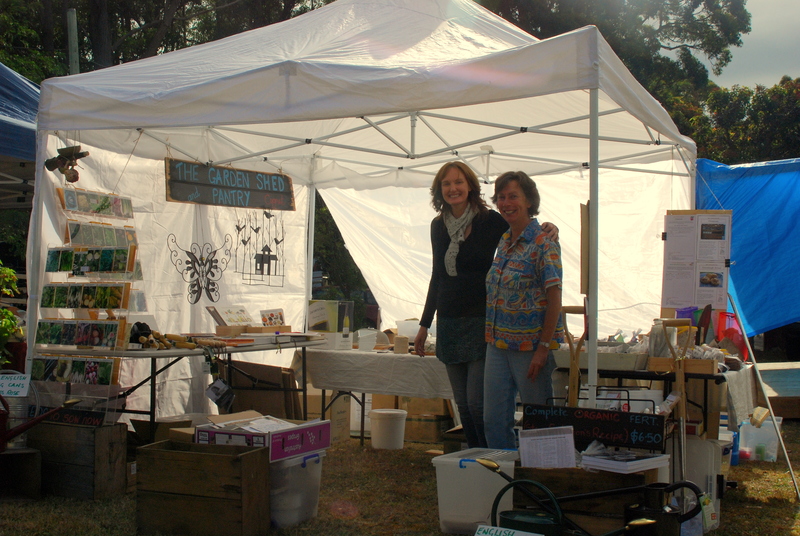 The cost of the workshop is $45 and includes the kit that I sell at the Cygnet Market. The basic kit has all of the instructions for making sourdough bread plus the ingredients required for two standard loaves. The ingredients include the special sourdough starter and the flours are all high quality organic flours from Four Leaf Milling in South Australia. The workshop kit also contains one dough scraper and more of my favourite recipes. We make the bread together and I answer all your questions so that you go home confident to make easy, wonderful bread on your own. Register by using this link. Please feel free to contact me if you would like more information. I have a number of friends who enjoy preserving fruit, vegetables and herbs but most needed some new ideas. I try and preserve, in one way or another, enough fruit during the summer season to last through winter. I also enjoy sharing recipes and making drinks (alcoholic and non-alcoholic). Now seemed to be the ideal time to provide interested people with some ideas on getting started with the many different ways of preserving foods. 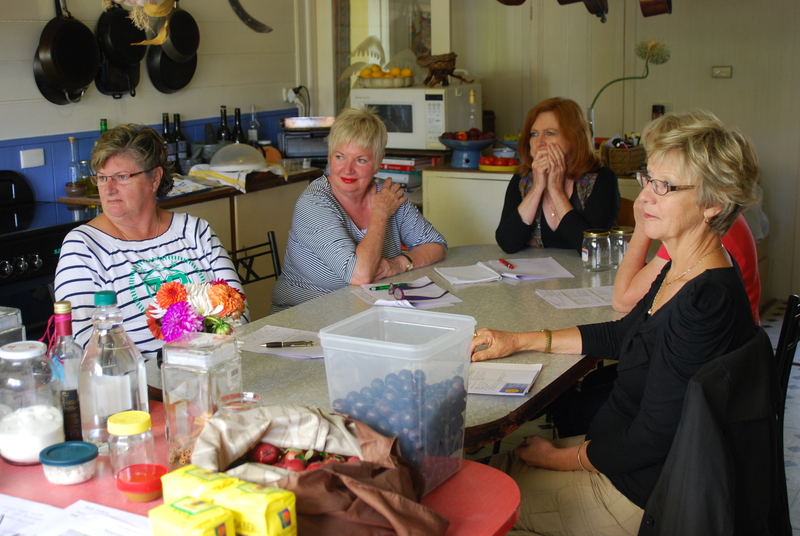 Five keen preservers came along to my first workshop to listen and learn (and eat of course!). Some of the things we discussed include, the origins and history of preserving, the different foods that can be preserved and the best methods to use, the equipment required and how to to get the best results. 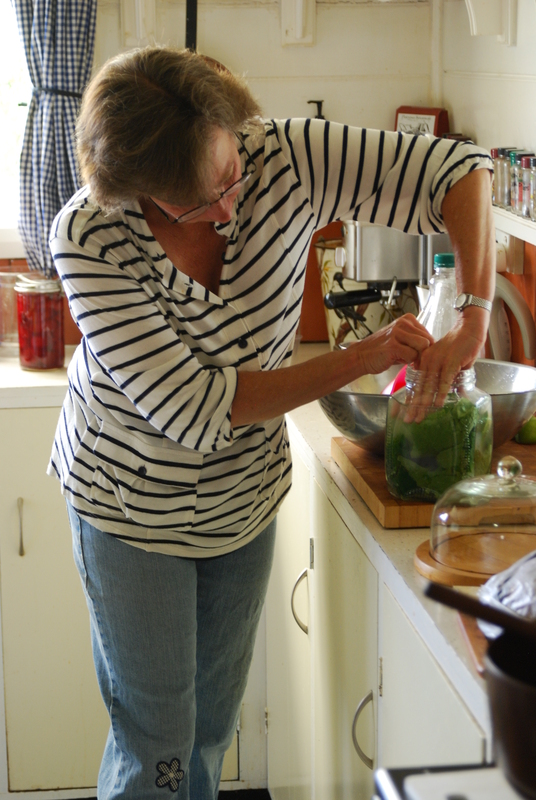 Preserving is more than just jams and chutneys. 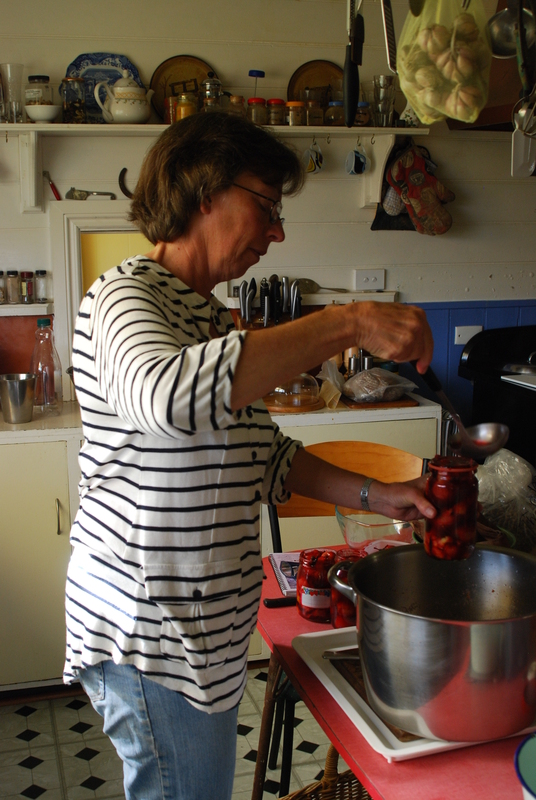 I introduced them to pickled garlic, preserved lemons, spiced whole cherries, bottled tomatoes and a whole lot more. 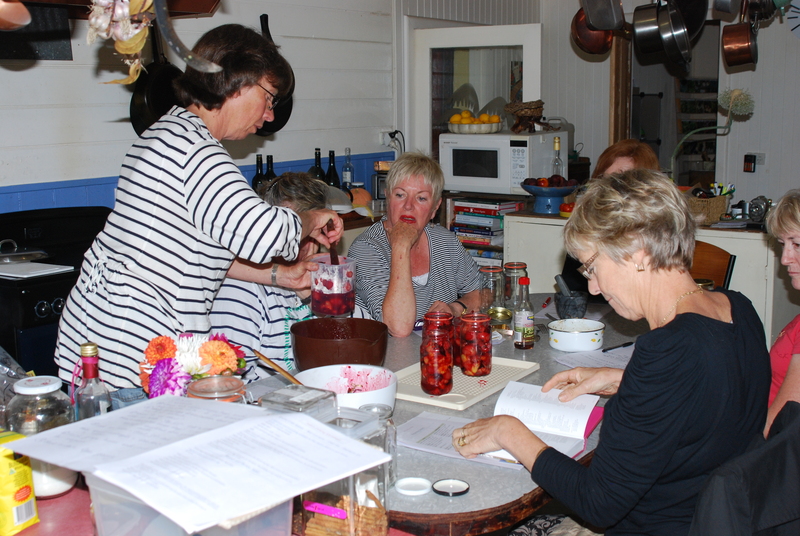 I showed them how to make your own cassis and other alcoholic (and non-alcoholic) fruit drinks. 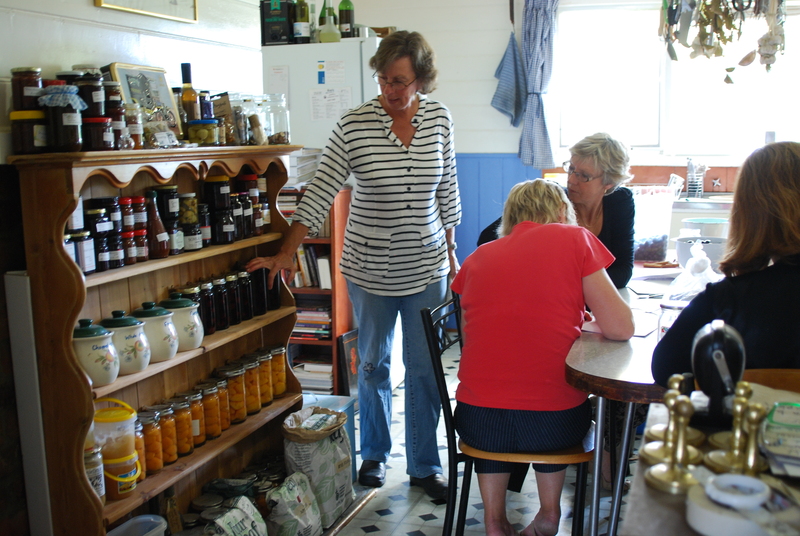 The cost of the workshop is $45 and includes recipes and a jar of preserves to take home. Contact me if you would like to come along to one of the next workshops or to be added to our email list for workshop information and dates. A fabulous 22nd annual Middleton Fair has been and gone (although most of the scarecrows are still there to enjoy when you drive the Channel Highway). Over 5,000 people attended the fair and many of these crammed into the hall to listen to the expert speakers. Thank you to all our existing and new customers who came along to chat or purchase some of our products and help make the Fair a big success for the local Middleton community. 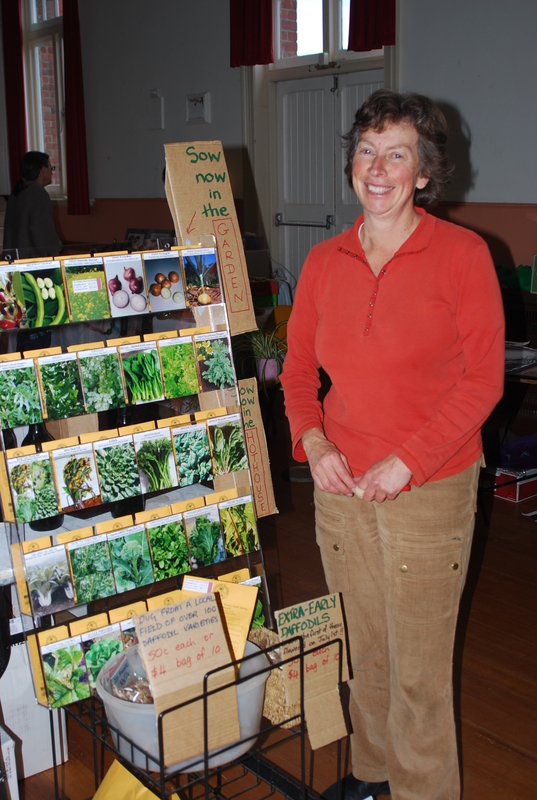 A big thankyou to Sandra who helped set up the stall and assisted with everything all day. Thanks also to David and to Juanita for their help too. We sold lots of sourdough bread kits, pasta and spices. 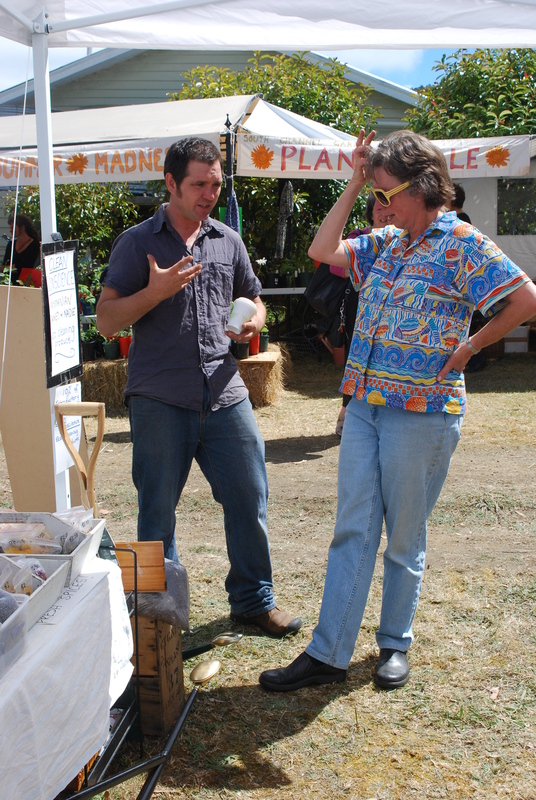 Olives and Olive Oil from Patlin Gardens and almonds from Willunga in South Australia were popular. Of course, the ho-mi and the other gardening tools sold quickly. 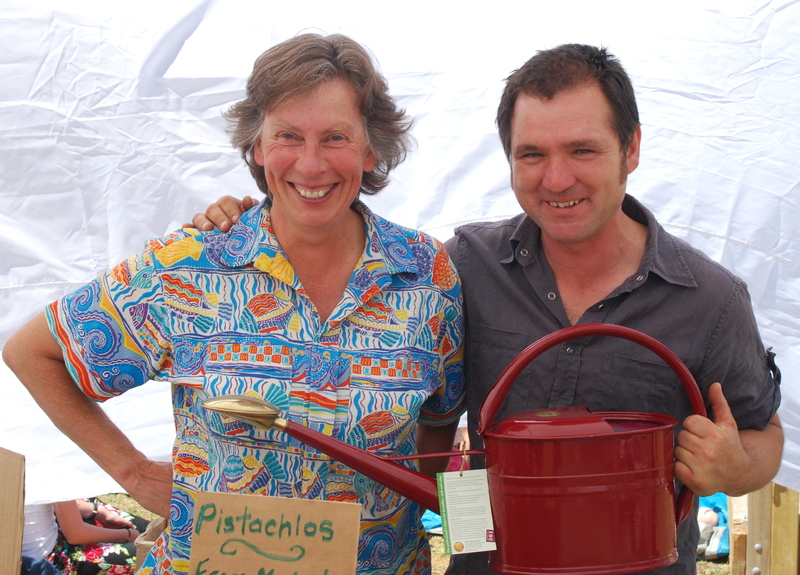 We also sold the watering cans that come from England. Steve Solomon’s complete organic fertiliser was a very popular new product that The Garden Shed and Pantry had for the very first time. We sold out all stocks at Middleton but you can still order more COF mixture directly from us. Middleton Fair is a great day and has something for everyone. If you missed out this year do try and visit next year. You will be pleased you made the trip. 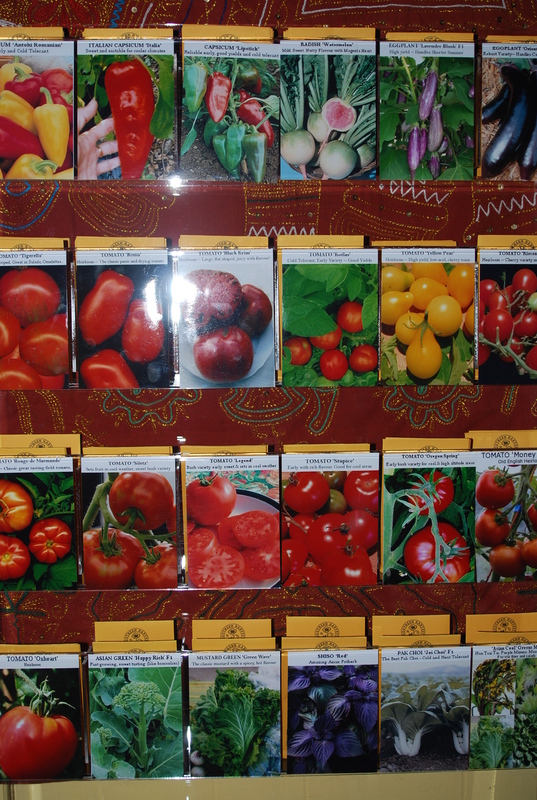 You can buy these seeds from my market stall at The Cygnet Market. If you need any further advice, please ask. My father ran a successful nursery for many years in Adelaide and I have grown up amongst trees, plants and seeds. I want people to be able to grow their own food. If you would like to purchase Cottage Garden seeds or Native seeds, you can order these from us at Cygnet Market.